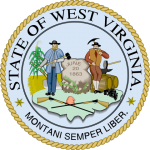 The West Virginia medical power of attorney is a document which legally refers the patients medical health care decisions to a second party known as the `Agent`. The power of attorney can be total or can be limited to specific details which the principal may choose. The agent then acts as a power of attorney in case the principal become so ill that they are unable to make decisions themselves. The principal can choose when to allow this power of attorney to be effective and also when it may be invalid. It requires two witnesses and is made in accordance with the US statutes §16-30-1 to -25. 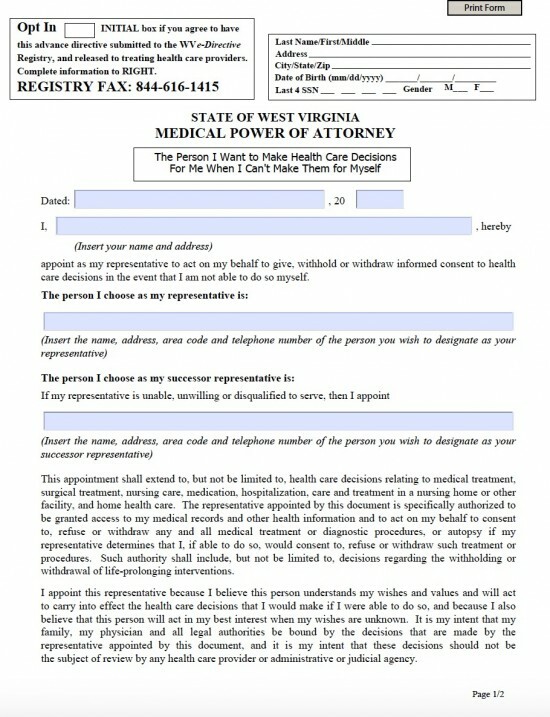 The principal must initial if they wish to have this medical power of attorney submitted to the WV e-Directive registry. The principal must enter their personal details. The principal must appoint an agent. The principal must enter their name at the top of page 2. The principal may enter details of any other specific preferences and directives they have regarding their medical health care treatment. The details of the principal, witnesses and notary must be entered. Date of expiration of commission.